itopia allows delivering of high performance workstations powered by NVIDIA® P100 GPU accelerators through Teradici’s PCoIP to designers, multimedia companies and engineers. 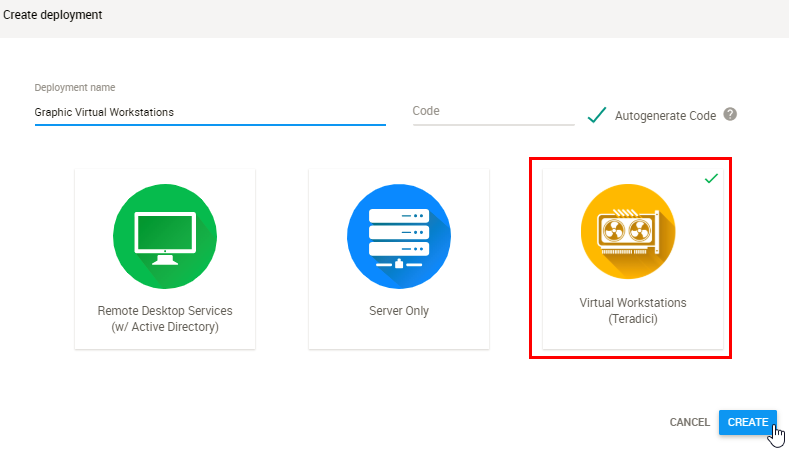 Find below the steps to create graphic virtual workstations deployment in minutes. 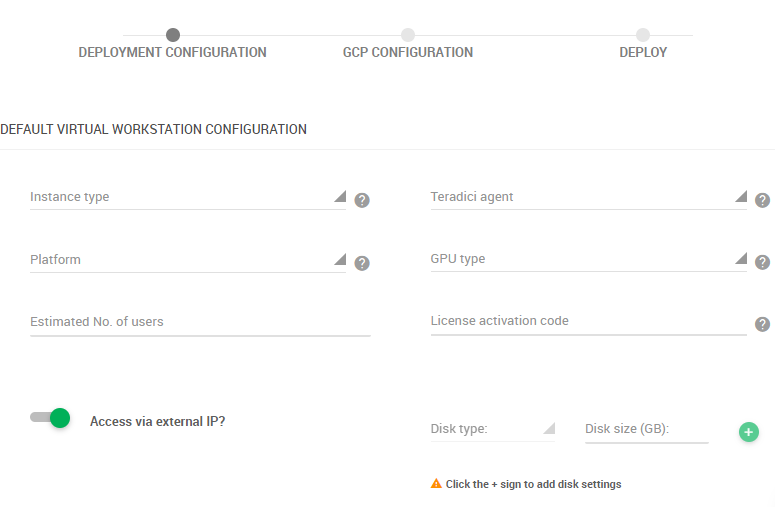 Select Virtual Workstations (Teradici) as the deployment type and type the name for your deployment. The deployment (server) code will be generated automatically. If you prefer to define your own code, uncheck the "Autogenerate Code" box and Type your code (we allow from 3 to 8 characters). Click Create. 2. Define your default virtual workstation configuration. 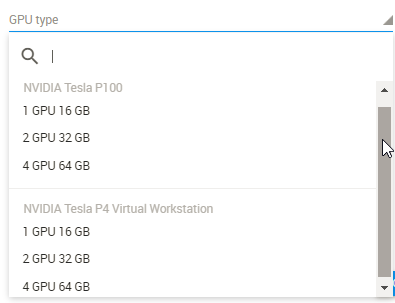 GPU type: choose the type and quantity of GPUs to accelerate workloads on the VM instance. If you're restricted by quotas to use GPUs, all NVIDIA® Tesla GPU types can be requested from Google here. For example, the first type (1 GPU, 16 HBM2 is able to support VM instances with up to 10 cores and 104 GB of RAM). More information about NVIDIA® processing units is available here. 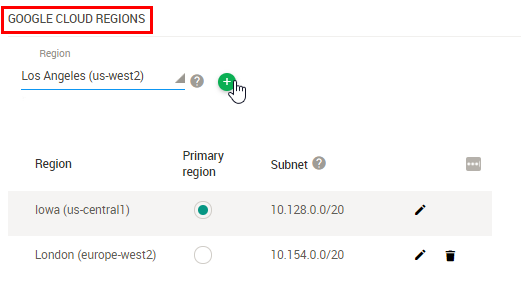 Access via external IP? : If disabled, the deployment will only be accessible through internal IPs not allowing external access to the servers. Click the Next button in the bottom right corner to continue. 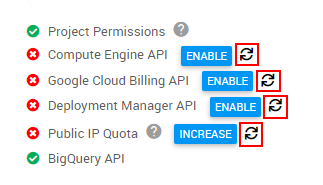 Authenticate with your GCP account. The system will ask you for your Google email address and password. Make sure to use the same one you used to sign up for Google Cloud. Then create a project that will be associated with your deployment. Put the Project Name and click "Create" button. The email account you selected will appear in the screen and you can create a Google Project that will be associated with your deployment. Put the Project Nameand click "Create" button. 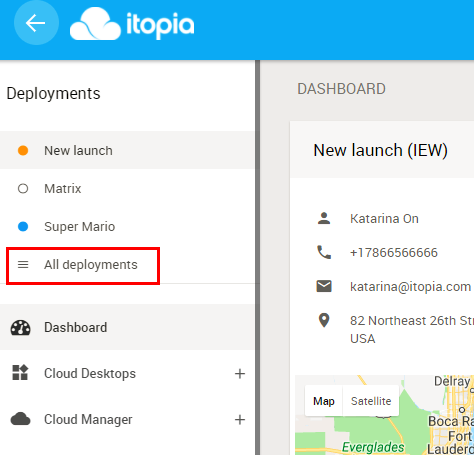 "Project" is Google's way of separating different deployments. 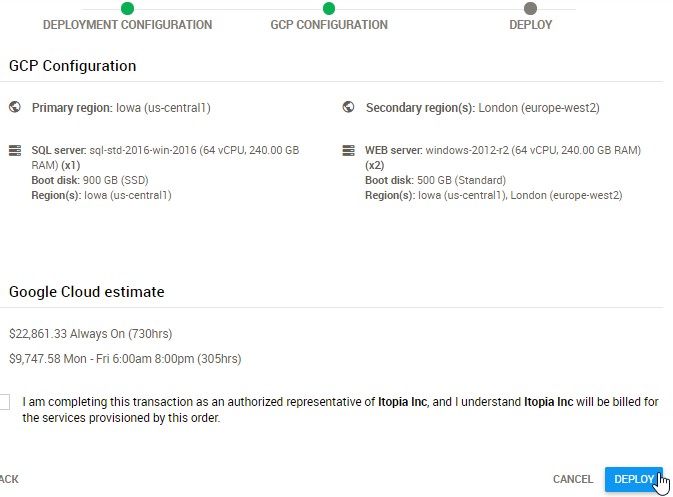 In case you're launching a deployment hosted in multiple regions. Add all of them in this step. 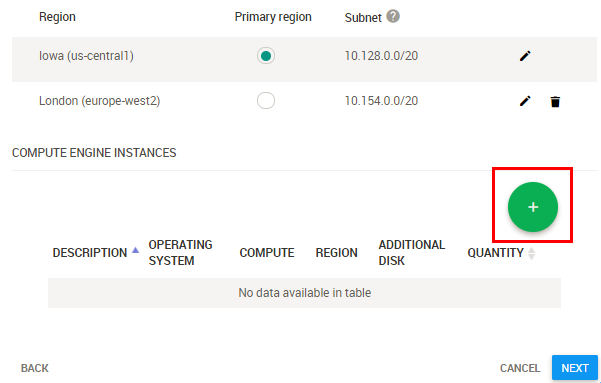 Companies with multiple sites located in different states, countries or continents can now be deployed in any GCP datacenter location. Just select the region and add it with the green plus sign. 6. Check if your selected settings are correct and confirm the disclaimer. After the automatic server configuration is complete, you will receive an email with credentials to be able to connect to your servers.